The band Sidewise has become synonymous for Kansas City rock‘n roll. Not only is the group a perennial favorite for events such as Rockfest, members from the group can always be spotted at shows all over the KC metro –from catching a national act coming through town or stopping in to support local groups at smaller venues. The group is throwing a party at the No. 9 Saloon in Gladstone to support one of their own. 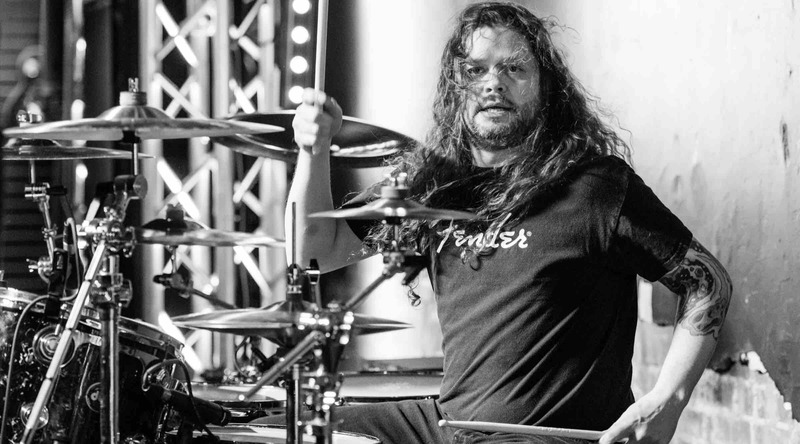 Drummer Jason Dean was diagnosed multiple sclerosis 13 years ago after going blind in one eye. He has sincere gained sight in the eye, although it hasn’t been back completely. Over the years, Dean has slowly developed numbness in his arms and legs. After returning from touring last year he noticed his legs were starting to get weak and was feeling very fatigued. The benefit show will be at the No. 9 Saloon at 8 p.m. Dec.8 and will feature Under The Covers playing from 9 p.m. to 1 a.m. with the help of various drummers. The venue has even dropped its drink prices for the evening to help out. The members of Sidewise will be in attendance and there will also be a silent auction with items and memorabilia from the Foo Fighters all the way to Gene Simmons from Kiss – all donated to help raise money for the treatment. Playing shows has started taking a bigger toll on Dean, as he was losing specific motor skills in his right hand and legs. He cannot play drums to his full capacity anymore and walking has become a task for him. Through a GoFundMe crowdfunder, Dean has announced he is searching for treatment in Panama, looking to undergo stem cell treatment not available in the United States. He noted there is a variety of treatments available in the U.S., but none that would offer the same quality of life.Other than music, Dean is also a magician and very dependent on his use of his hands for both so he is looking to return to life before MS took hold. Dean told CMN about the complications and how his bands,both Sidewise and local cover band Under the Covers, have responded to his worsening condition. “Everyone is very supportive,” Dean said. “Most would see someone in this light as a broken asset and would look for an immediate replacement. But these guys are my brothers and are supporting me through and through. Dean said he’s struggled with MS for more than 13 years, with good days and bad. But the support from his family and friends have helped him get to the point he’s at now, despite it being overwhelming at times. That support has led to the GoFundMe, which has raised nearly $7,000 in two weeks. Dean said once he reaches his goal of $30,000 he will be on his way to PanamaCity for treatment from Dr. Neil Riordan. He’s already been accepted by the facility and a treatment plan has been created. He’ll only be at the facility for four days and the recovery can be very immediate. Dean said because the treatment is not invasive he won’t have to worry about surgery and healing. In the meantime, Dean said the rest of Sidewise will be patiently waiting for his return with a new release due out soon and Under The Covers will have some friends filling in. The No. 9 Saloon is located at 6609 N Oak Trfy, Gladstone, Missouri 64118. For more, visit the GoFundMe page here.